Now that my hair has faded, as promised, I did a video tutorial on my bleaching/coloring process. This time I chose to go a bit darker and used purple and red. 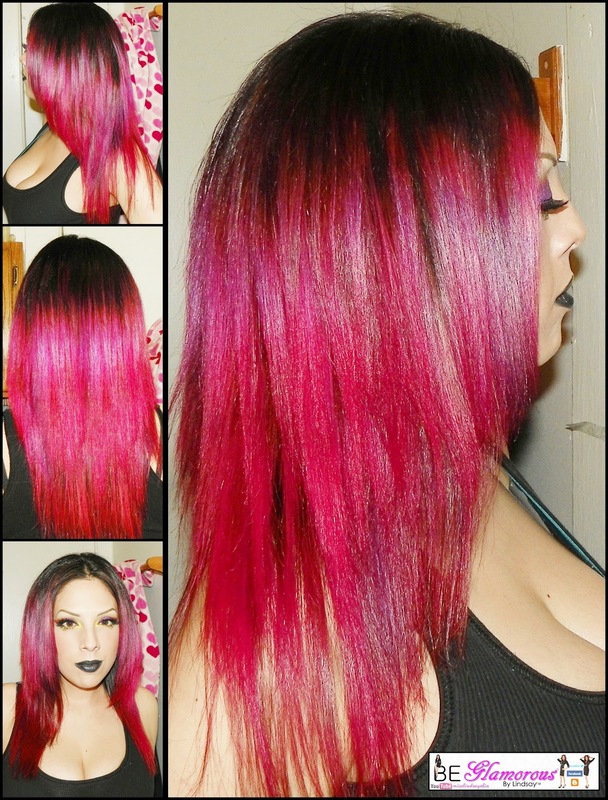 I used my favorite semi-permanent colors and bleach from Splat. The shades are Lusty Lavender and Lusicious Raspberry, I purchased them from my local drugstore. One thing I forgot to mention in my video was how long I left in the bleach, it was about 15 minutes and then I used a warm rinse. The bleaching process is different for everyone, so please check your hair after 10 minutes. At-home coloring /bleaching is not for everyone. If you have no experience, seek a salon professional and ask lots of questions to learn about your hair. The following video is how I achieved this month’s hair color.